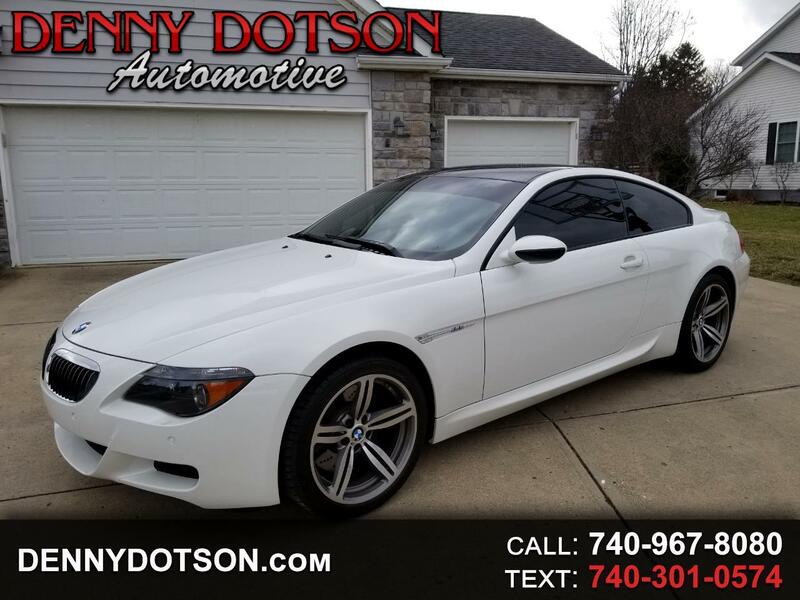 Used 2007 BMW 6 Series 2dr Cpe M6 for Sale in Johnstown OH 43031 Denny Dotson Automotive Inc. The nicest one on the planet!! We just bought this gorgeous 2007 BMW M6 Coupe with 9K original miles from the original owner. No stories, no accidents, always garaged, always serviced with BMW, never in the rain or snow. All of the right options and the right colors. Alpine White over Portland Brown Merino Leather($3500 option for the interior). Optioned with Comfort Access System(Keyless Go included), Carbon Fiber Interior, Ski Bag, Park Distance Control, Adaptive Headlight Control, Navigation, Heads Up Display, HD Radio, Satellite Radio(has been on since day one with no subscription), Premium Sound System/DSP, and Carbon Fiber Roof-Line. Original MSRP was $109,190. Needs absolutely NOTHING!! Comes complete with all of the books, manuals, service records, both sets of keys, Valet key, front license plate bracket(painted and unmounted), and original window sticker(laminated). Like a new car still.